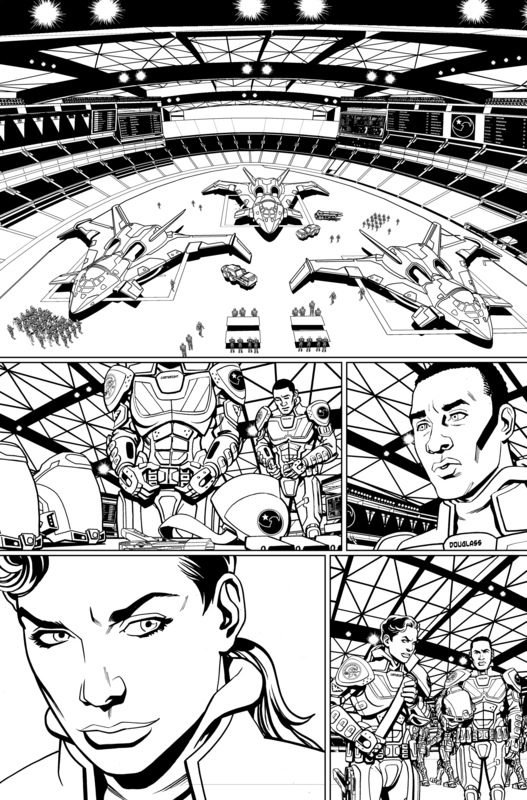 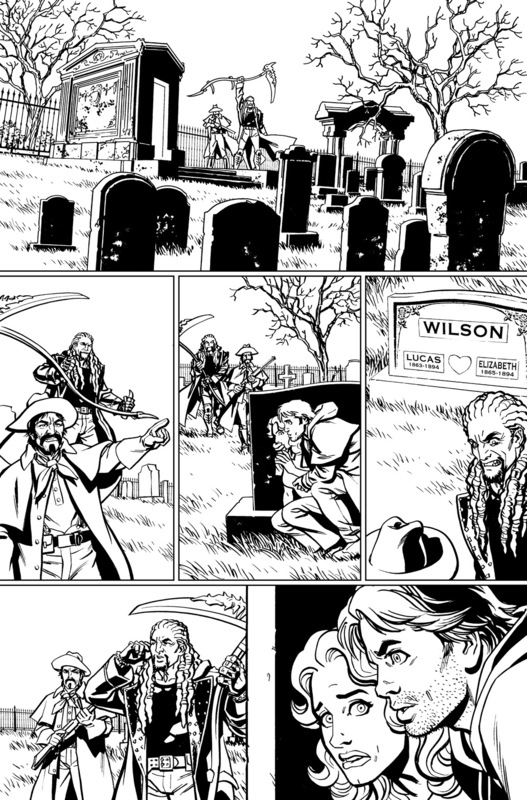 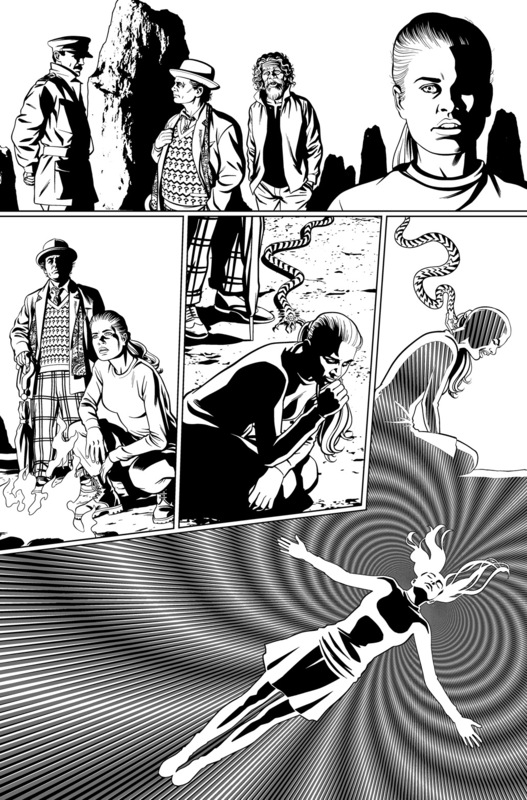 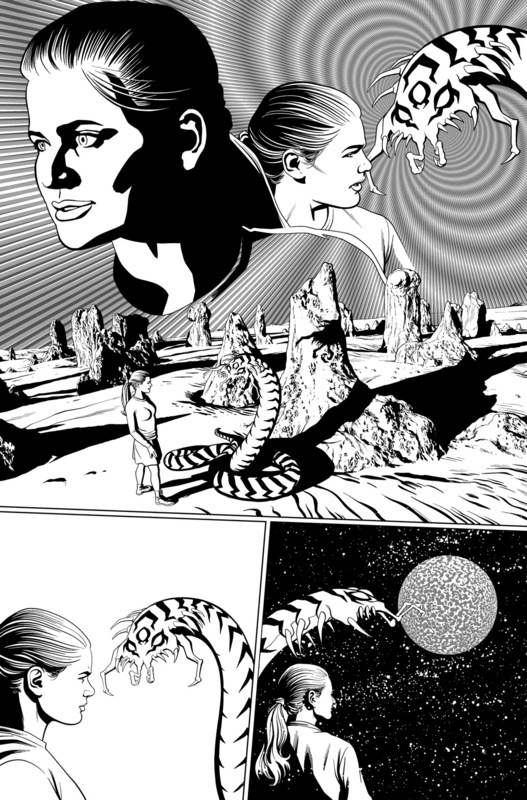 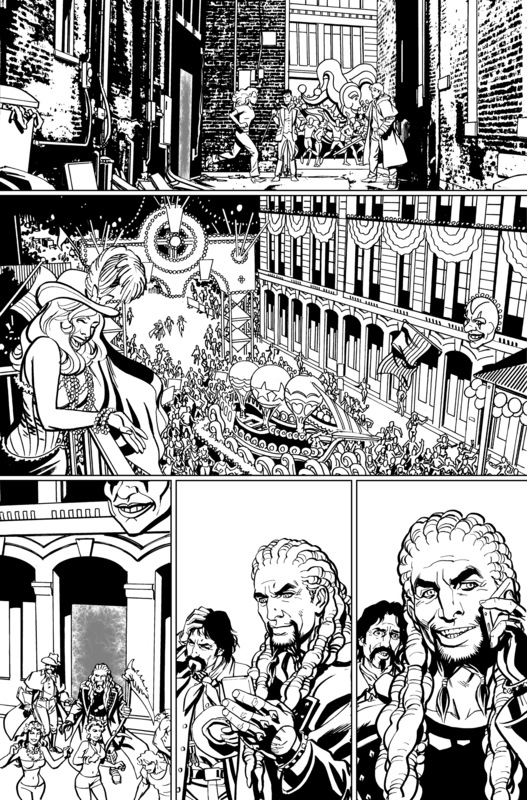 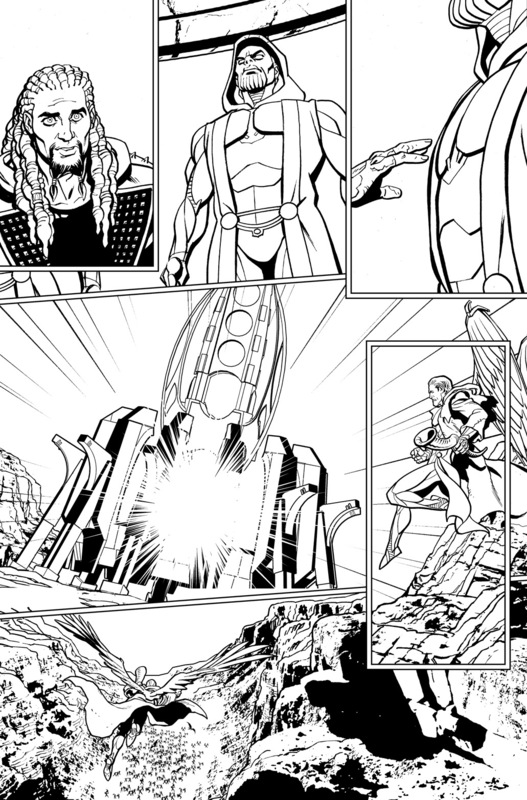 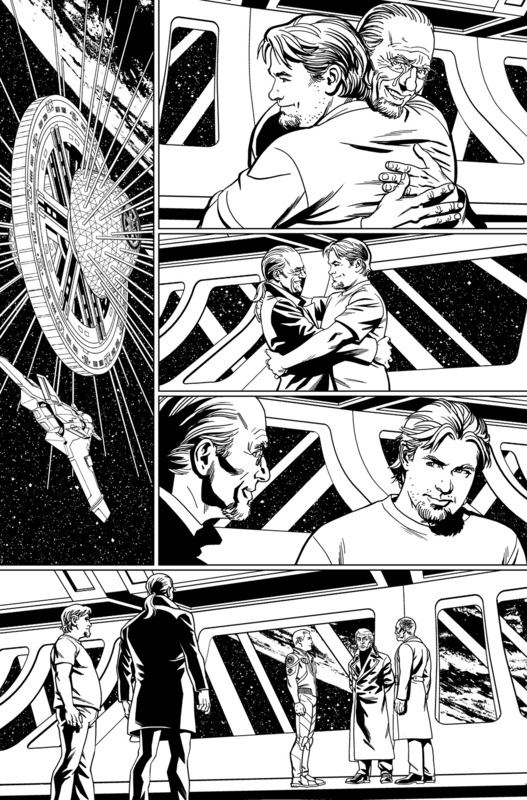 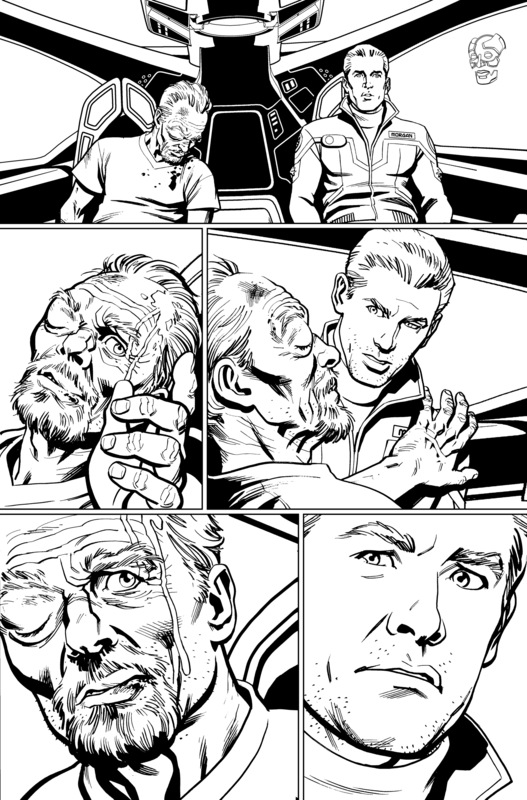 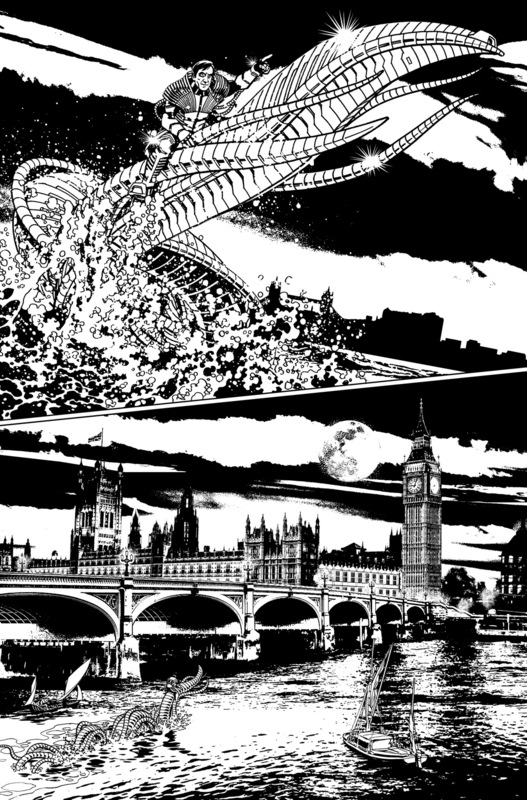 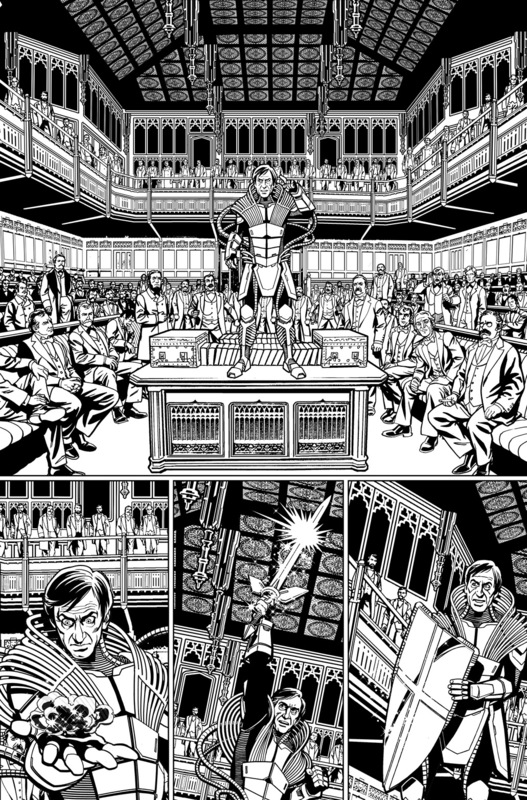 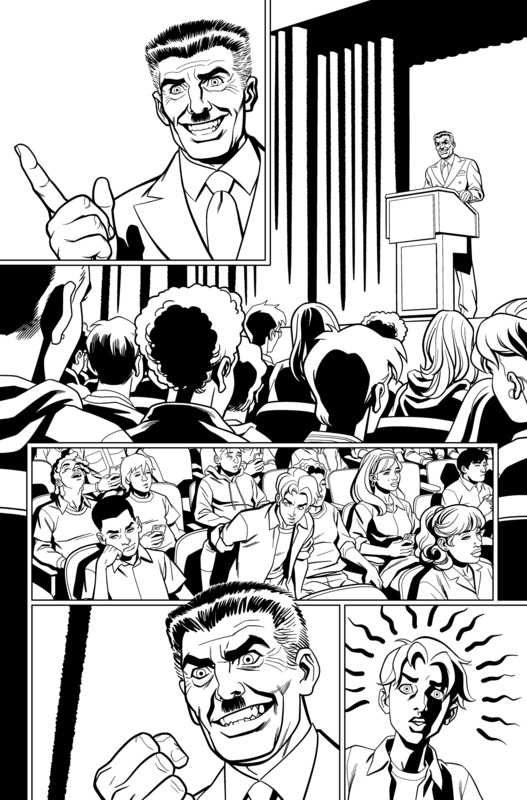 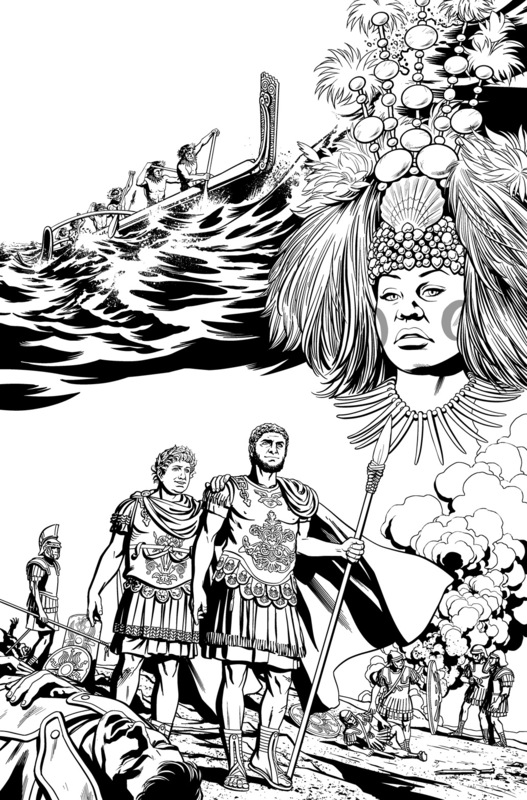 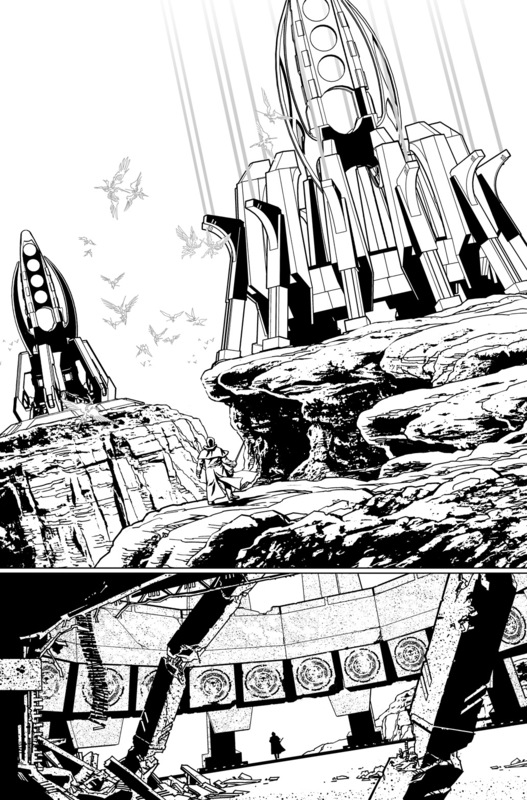 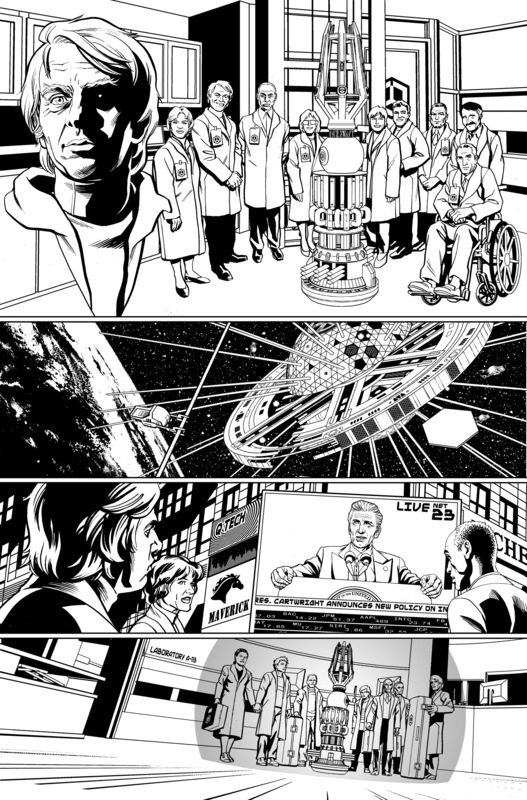 Below are samples from published comic books, all of it pencilled and inked by me, Christopher Jones. 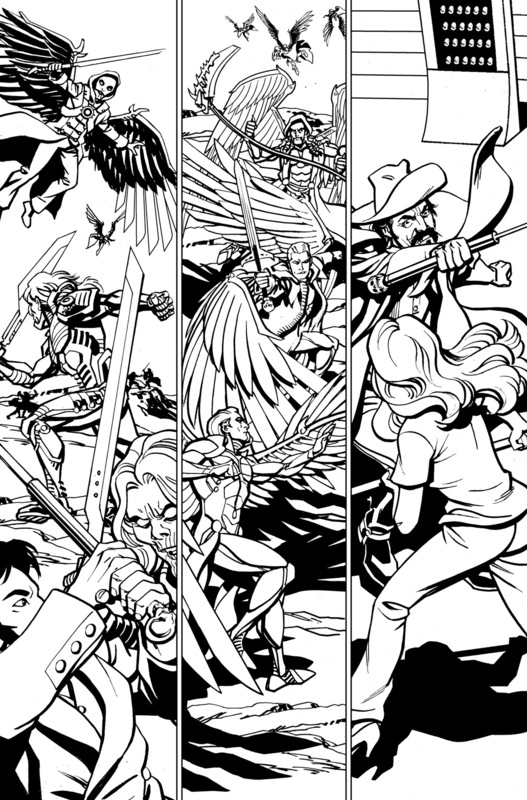 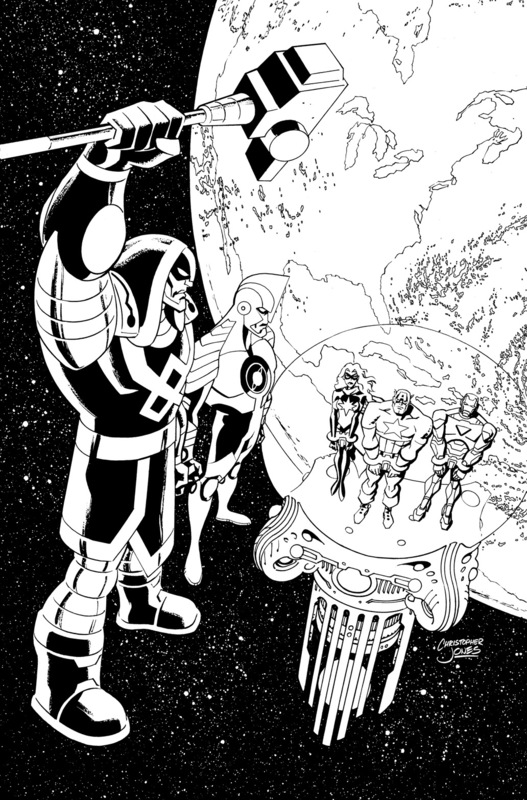 I’m open to both inking my own pencils or doing just pencils for another artist to ink. 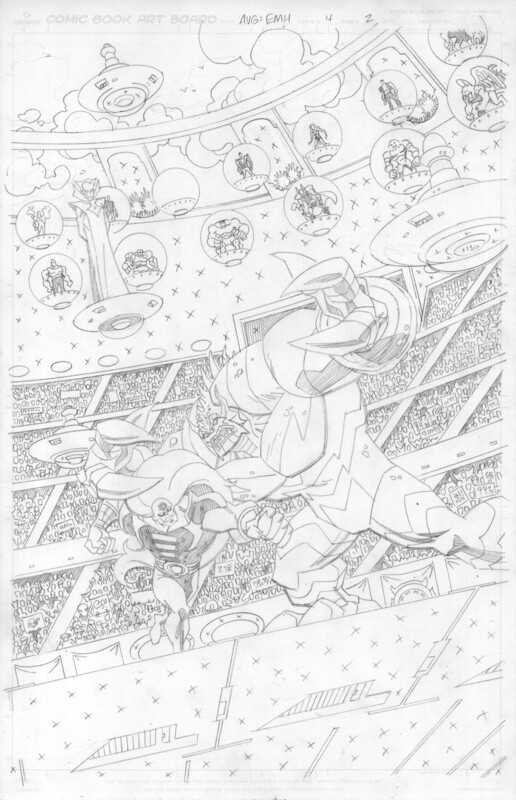 Samples of pencil art only can be found in my gallery. 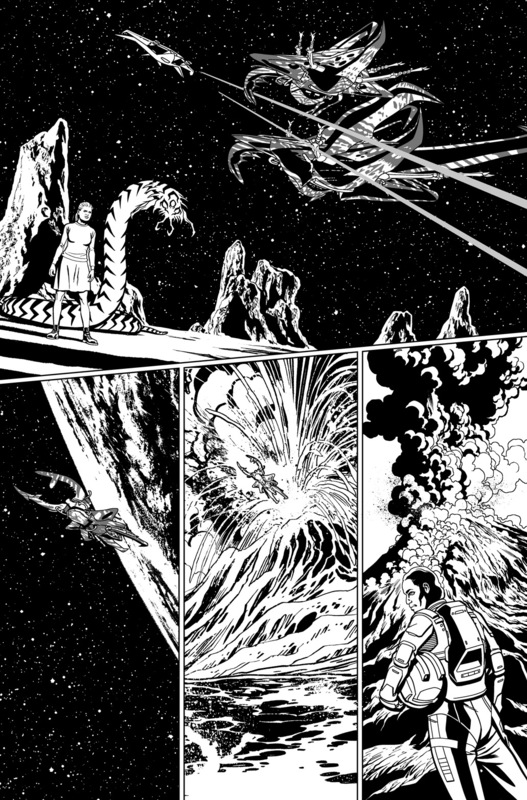 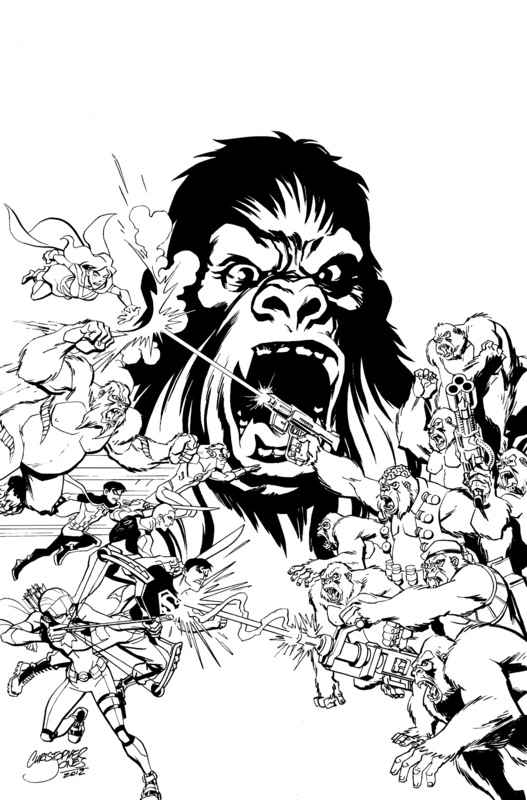 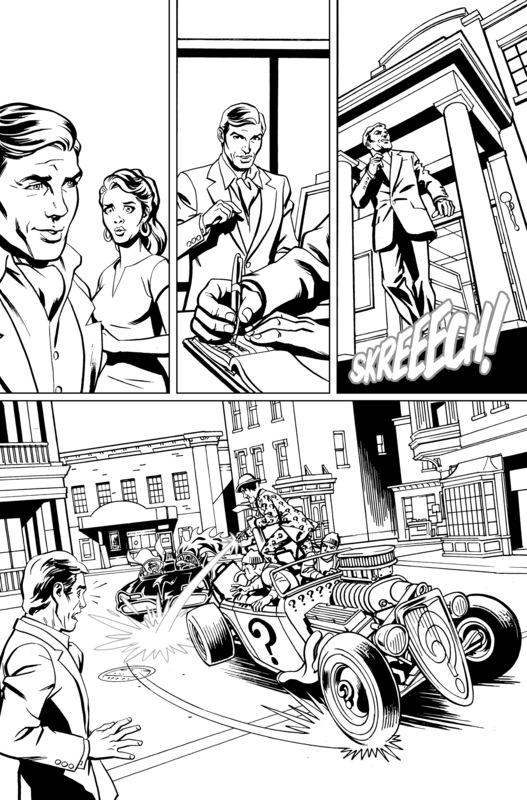 Please email me at chris@christopherjonesart.com to talk projects, samples, and page rate. 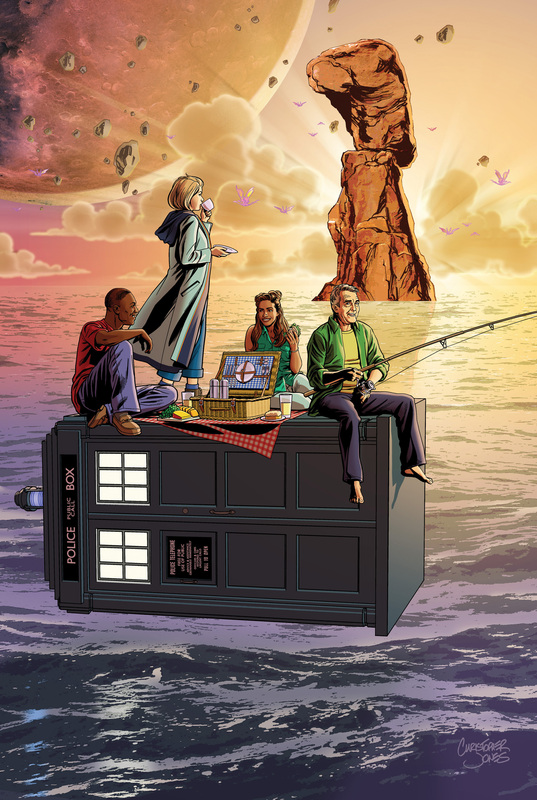 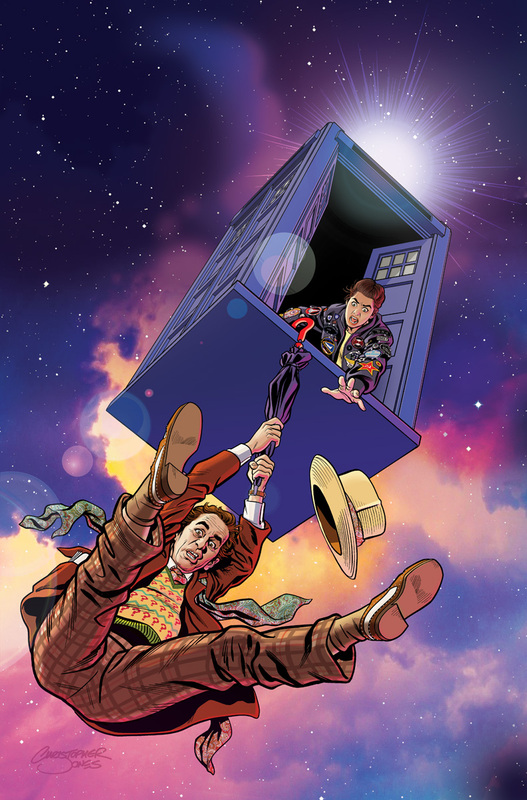 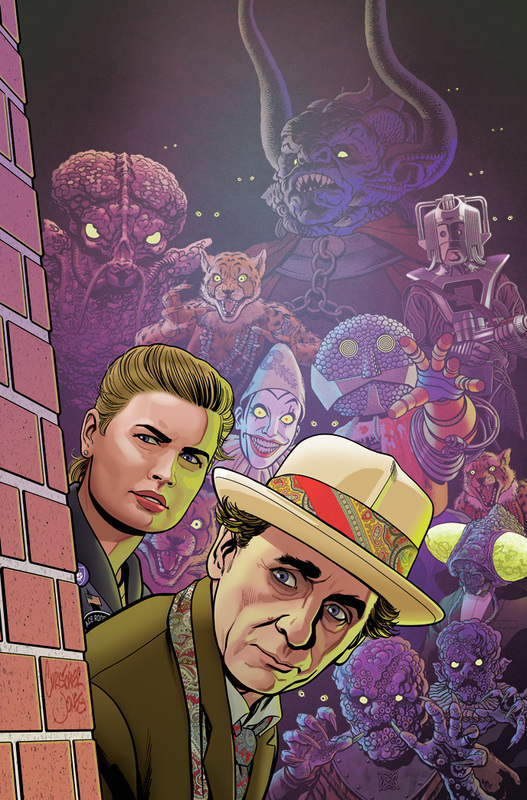 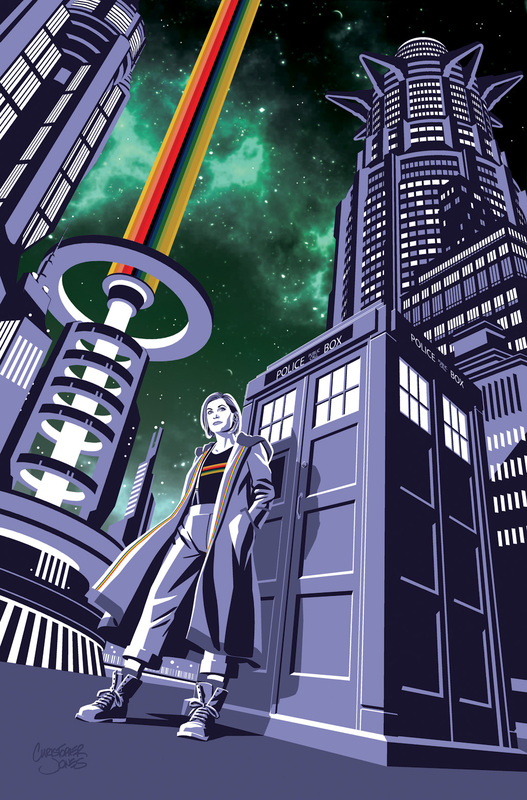 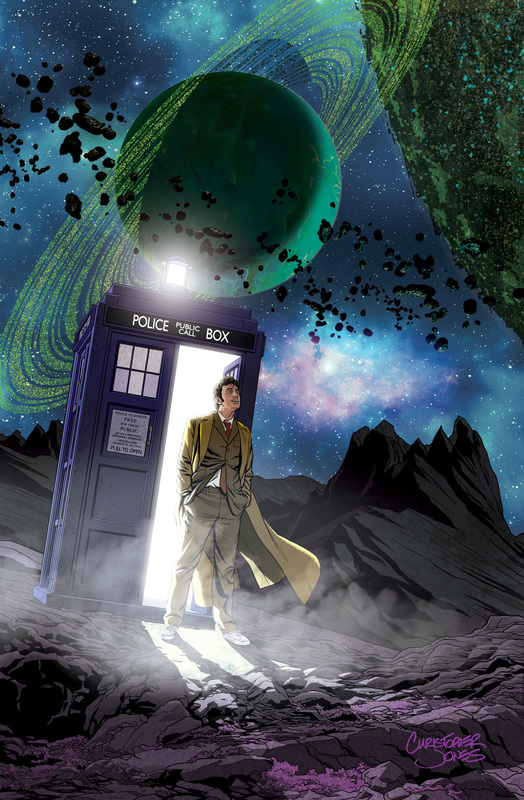 Doctor Who covers for Titan Comics and prints, featuring Sylvester McCoy as the 7th Doctor, Sophie Aldred as Ace, David Tennant as the 10th Doctor, Matt Smith as the 11th Doctor, and Jodie Whitaker as the 13th Doctor. 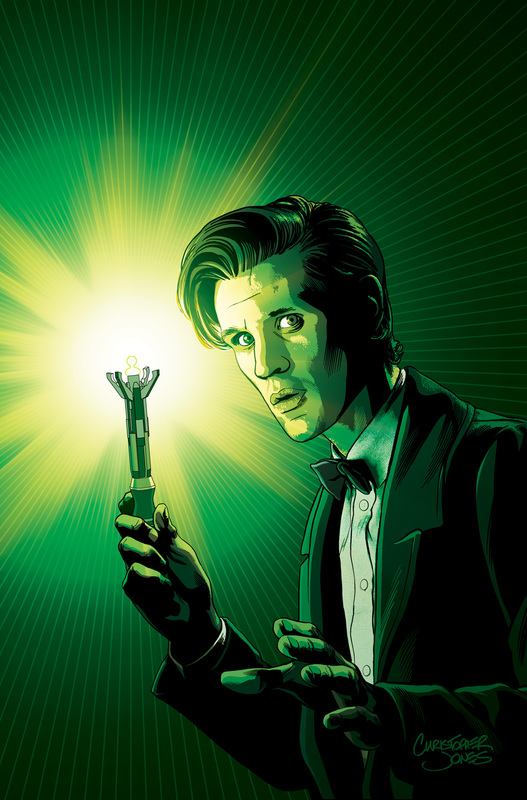 Full color images by Christopher Jones. 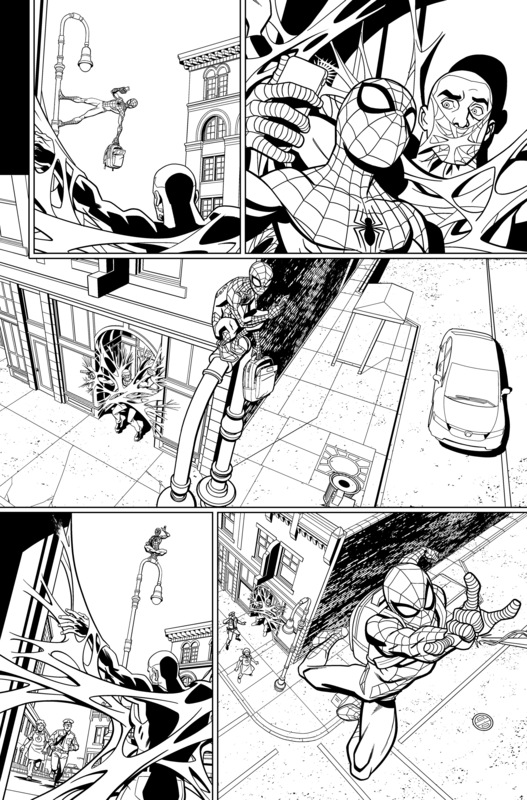 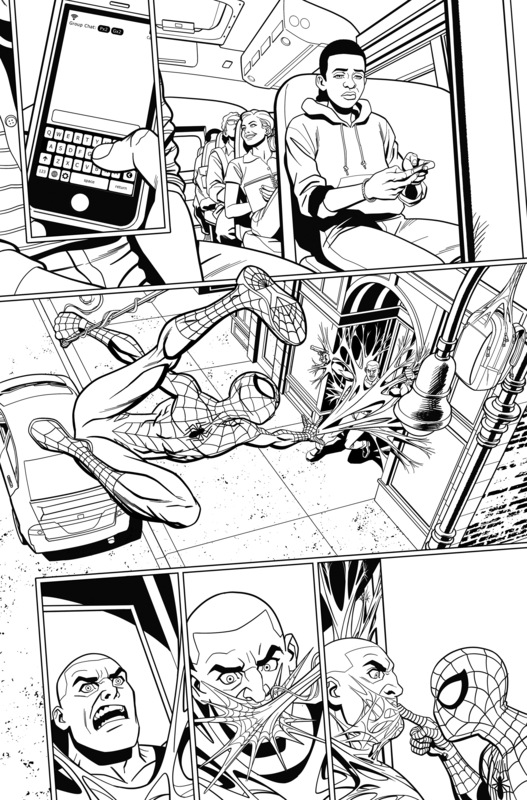 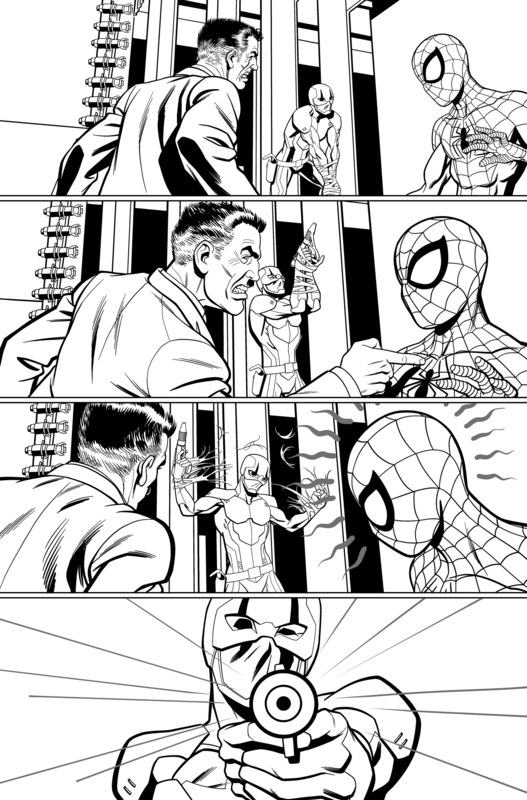 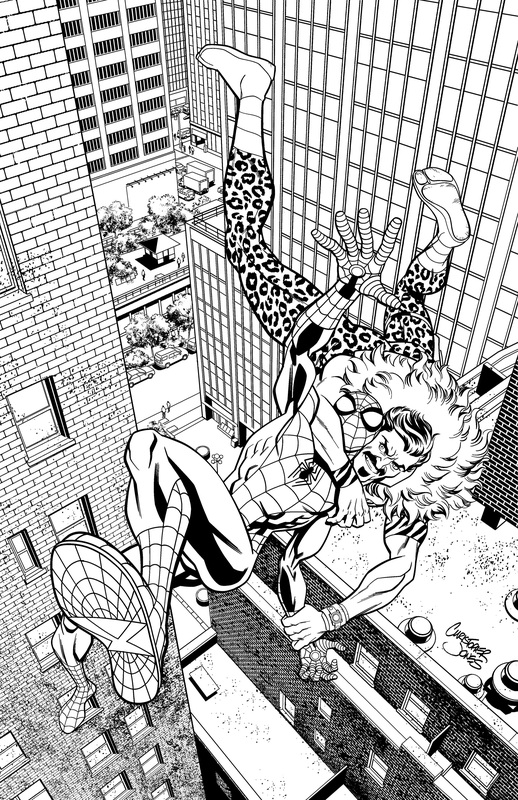 Pages of Marvel Action: Spider-man, the all-ages Spider-man title being produced in partnership between Marvel & IDW. 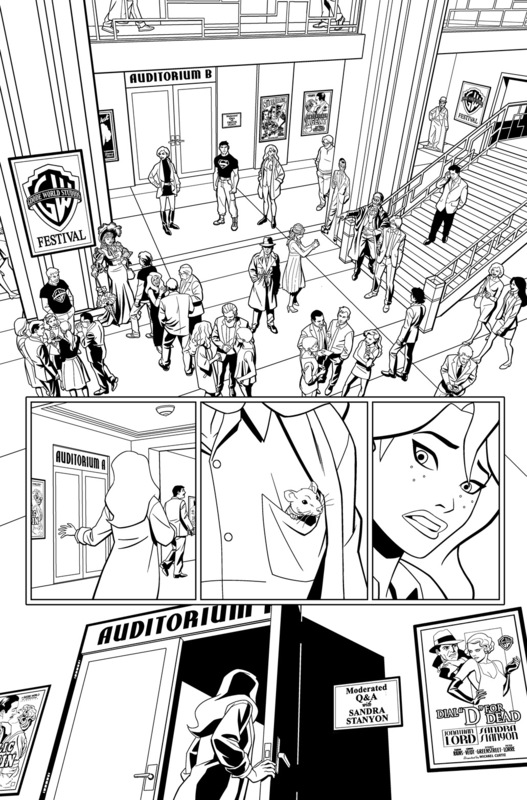 Pages of Young Justice Outsiders, a 20-page prequel comic to the 3rd Season of the Young Justice animated TV series. 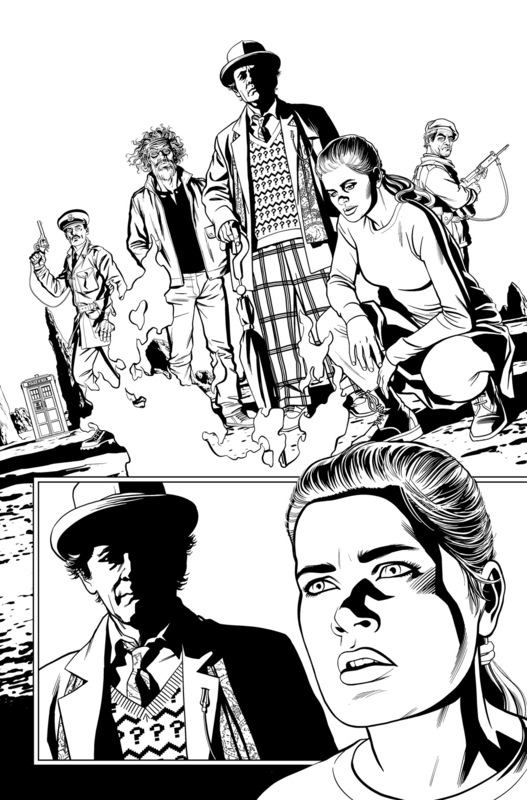 Pages of Doctor Who: The Seventh Doctor from Titan Comics, featuring likenesses of Sylvester McCoy as the Third Doctor, Sophie Aldred as Dorothy “Ace” McShane from the BBC TV series Doctor Who. 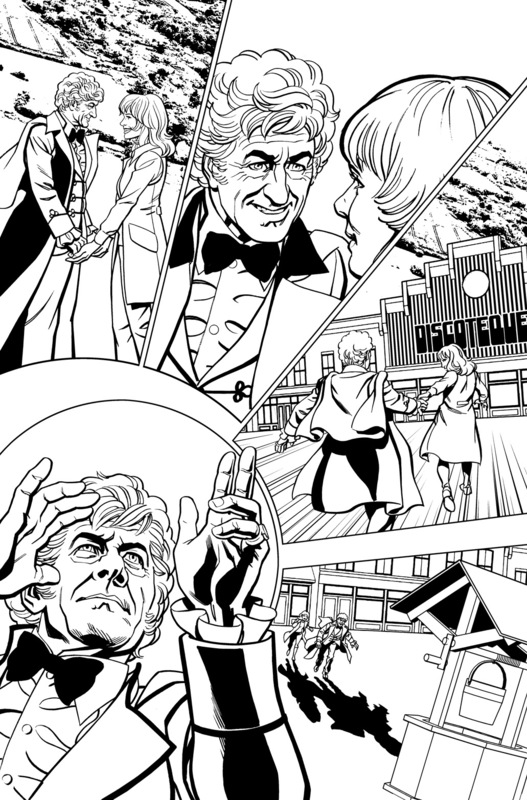 Pages of Doctor Who: The Third Doctor from Titan Comics, featuring likenesses of Jon Pertwee as the Third Doctor, Katy Manning as Jo Grant, and Patrick Troughton as The Second Doctor/Emil Salamander from the BBC TV series Doctor Who. 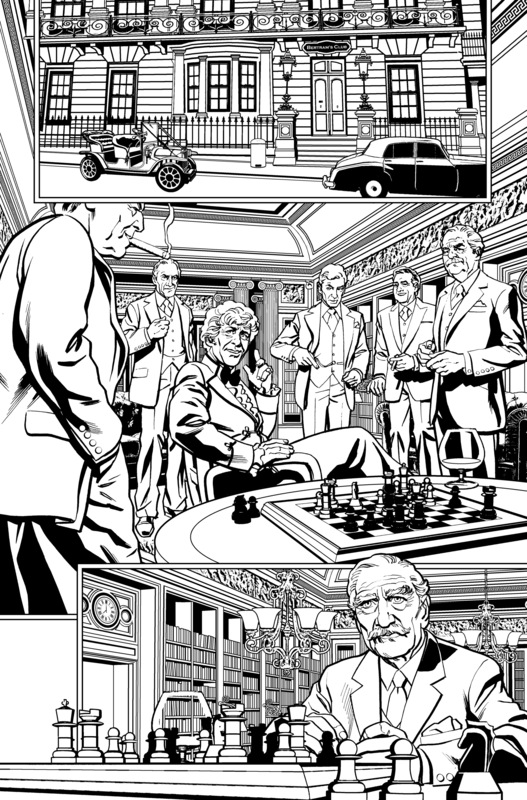 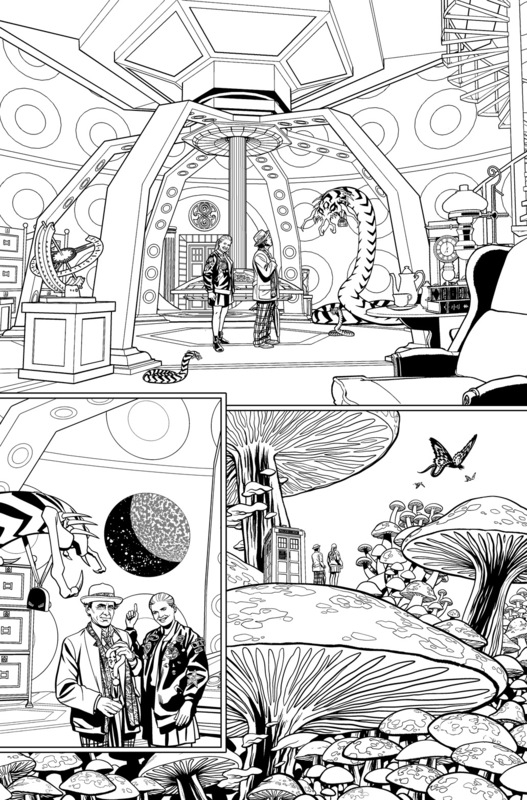 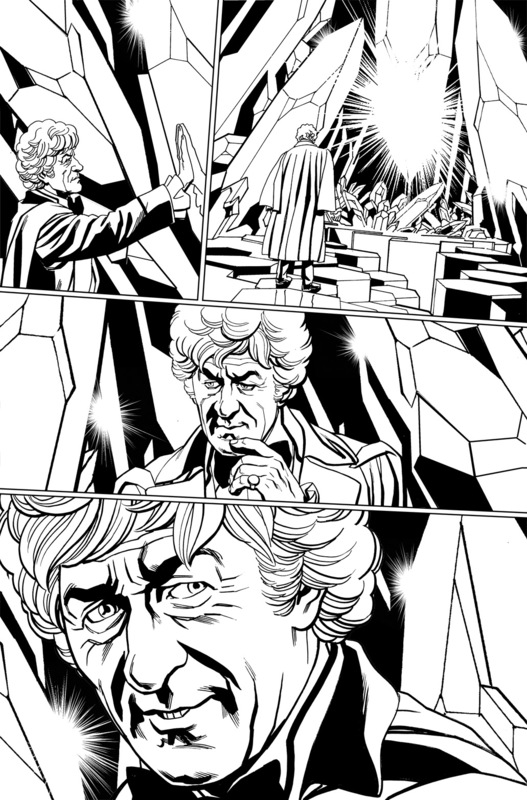 See more Doctor Who: The Third Doctor pages HERE. 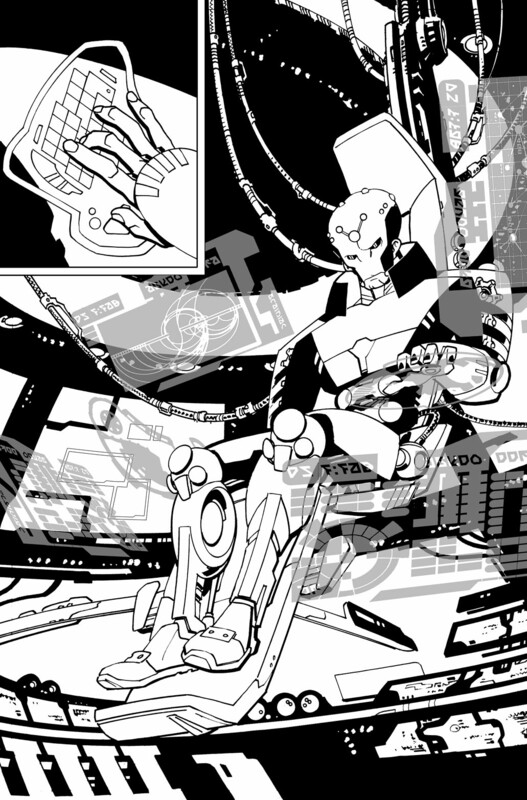 Also Known As is a graphic novel from Boxfly Media, involving an “Reapers” that were harvesting human souls to be soldiers in an alien war. 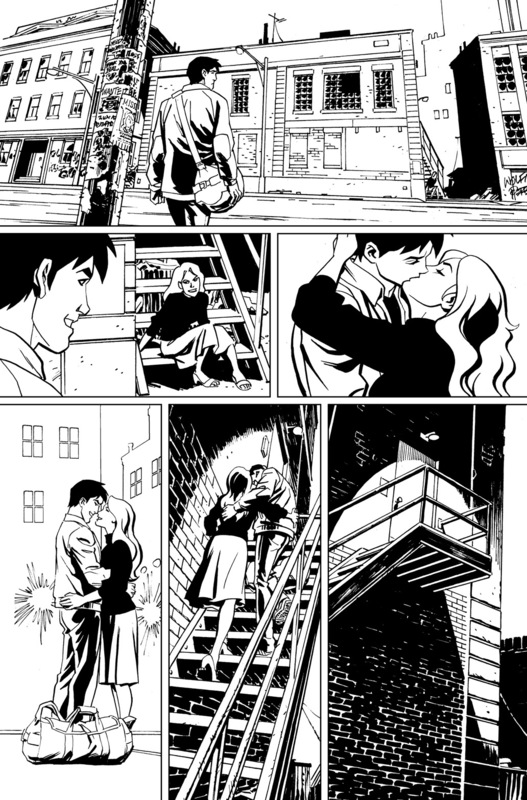 See more Also Known As pages HERE. 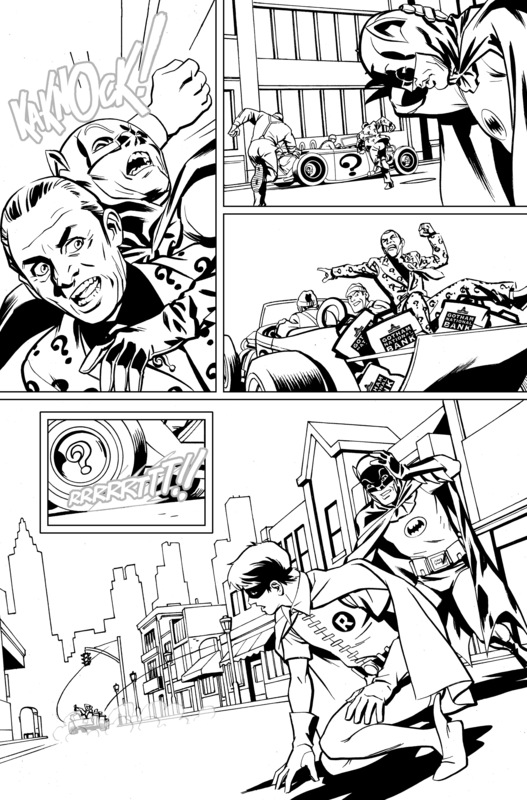 Pages of Batman ’66 from DC Comics, featuring likenesses of Adam West, Burt Ward and Frank Gorshin from the 1960’s TV series. 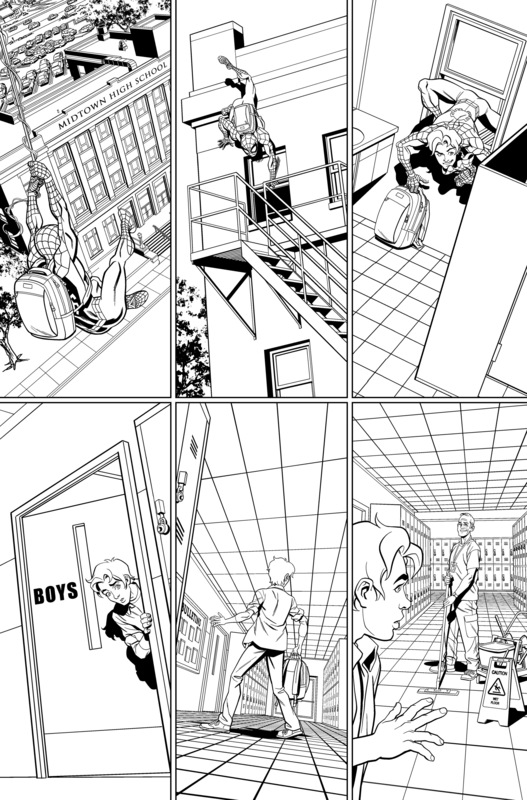 I took a fairly “straight” approach with my art in order to capture the flavor of the show’s more deadpan episodes. 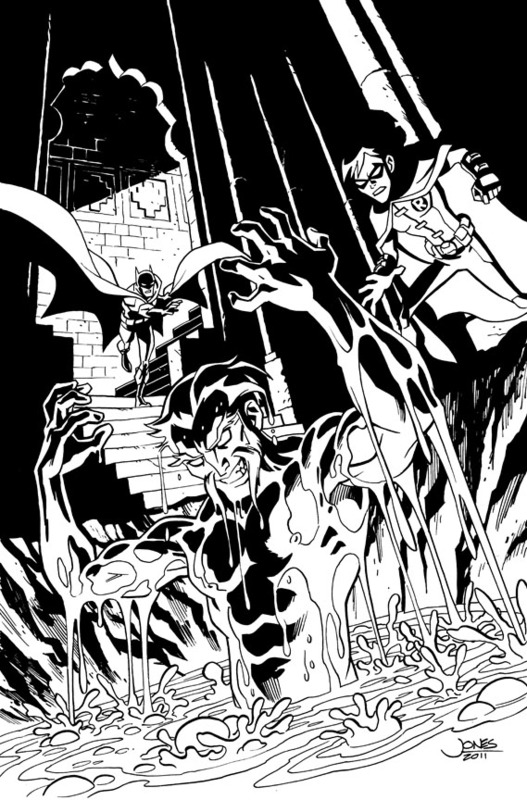 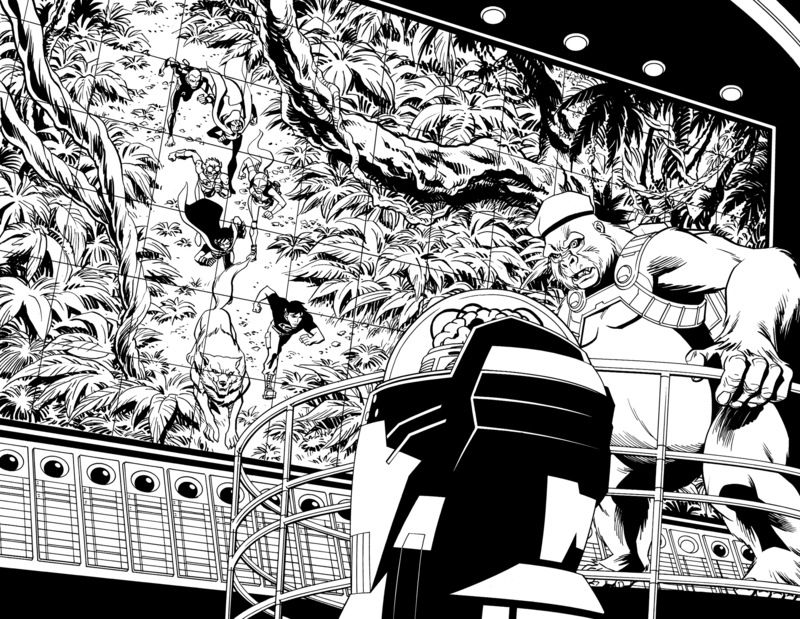 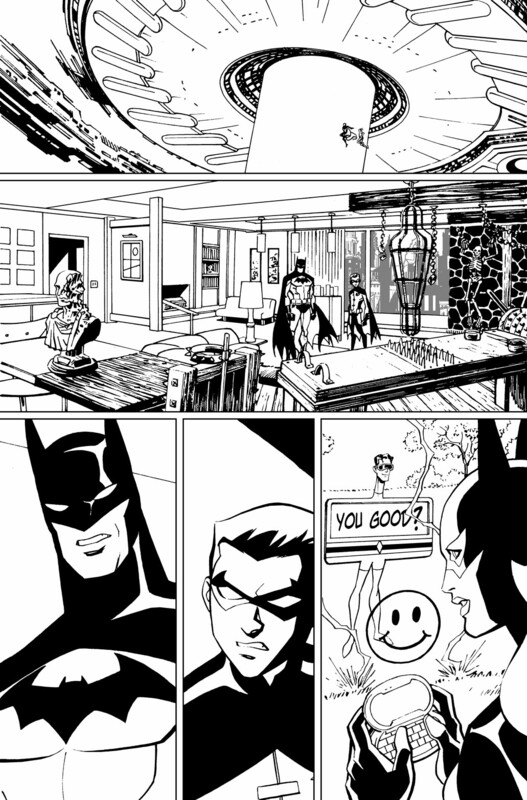 See more Batman ’66 pages HERE. 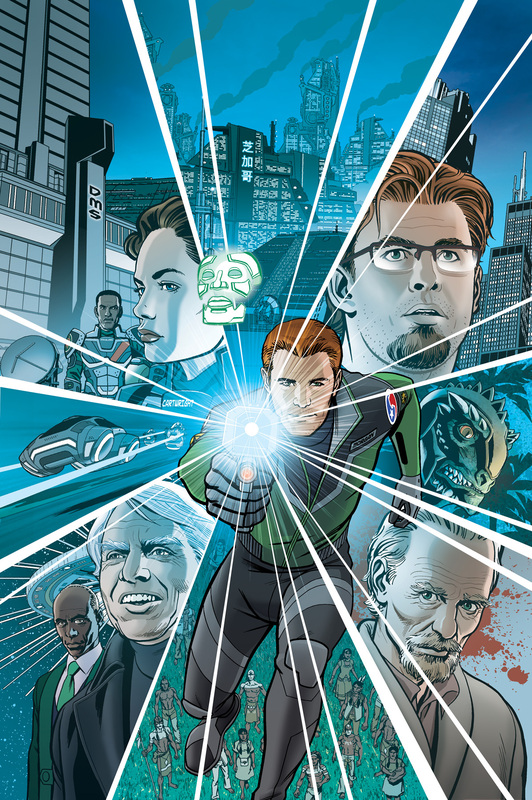 Cover art (featuring my own colors) and pages of Parallel Man from FutureDude Entertainment. 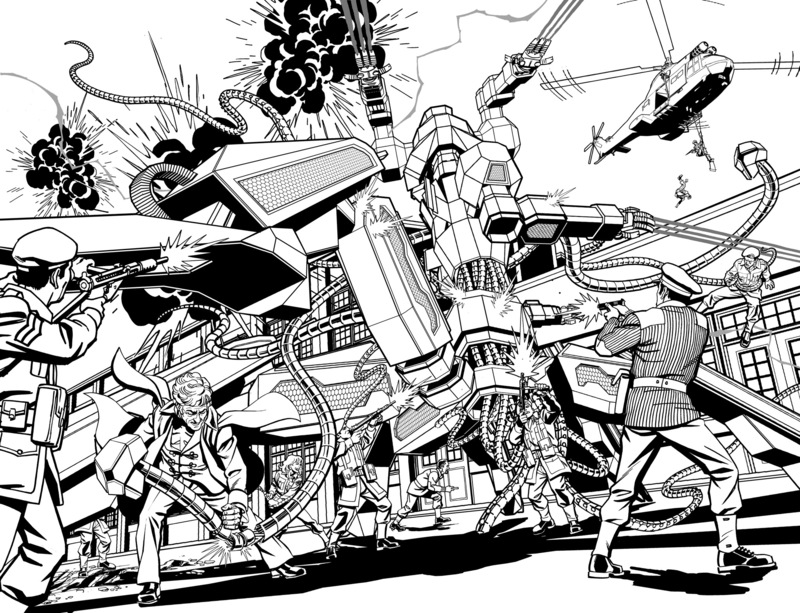 This was fun to work on for the mix of cool gadgets and vehicles, exotic locations, and a chance to draw more realistic looking characters as opposed to designs based on animation. 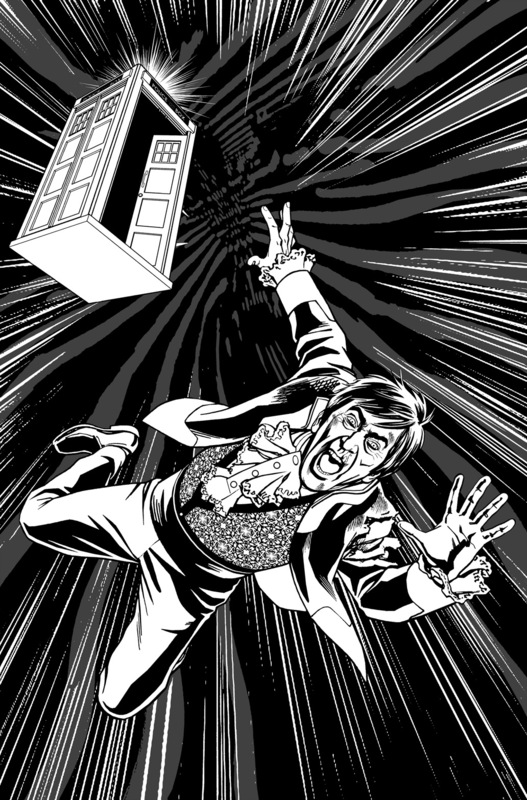 See more Parallel Man pages HERE. 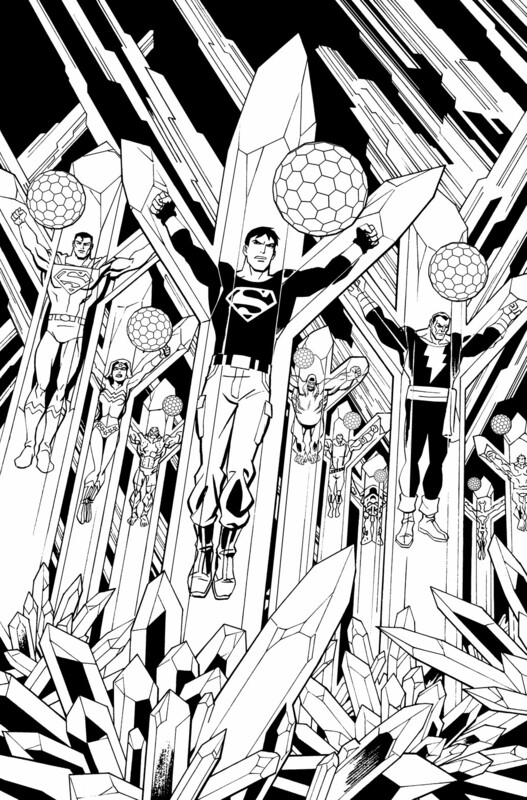 Based on the Cartoon Network animated TV series, Young Justice. 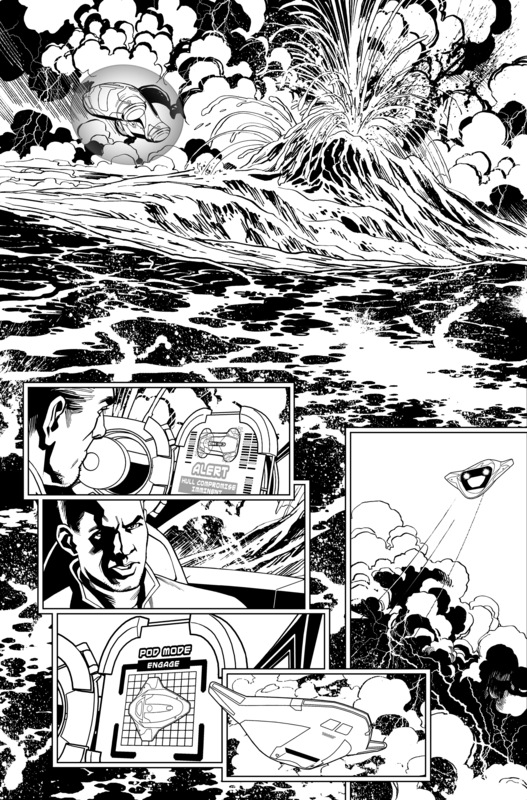 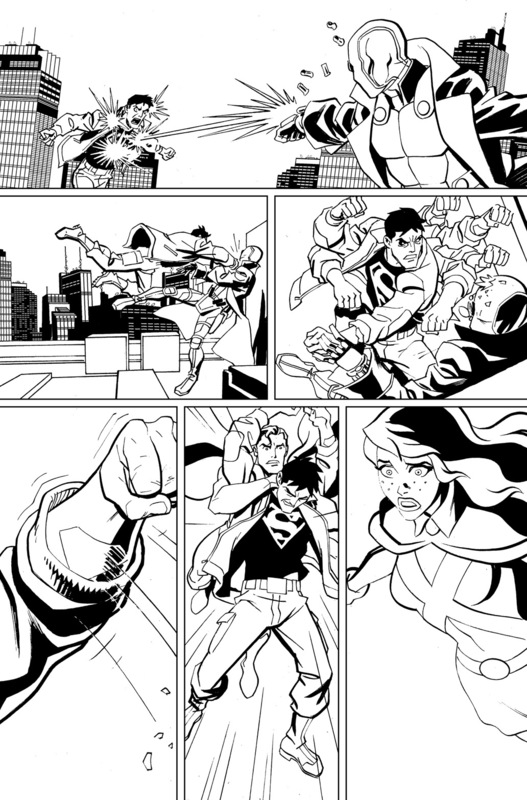 My first opportunity to ink my own pencils for DC Comics. 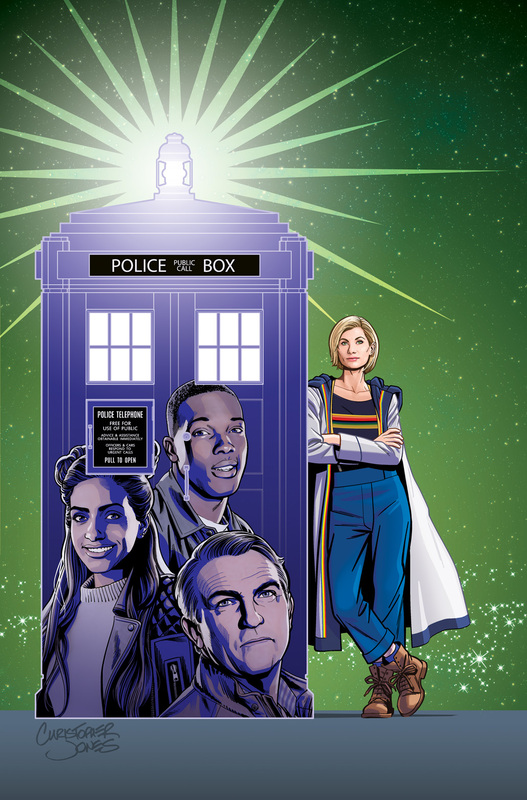 In spite of having to stay close to the TV show’s animation designs, I strove to keep the art from being too “cartoony” and to give it more weight and texture than is usually found in animation-based titles. 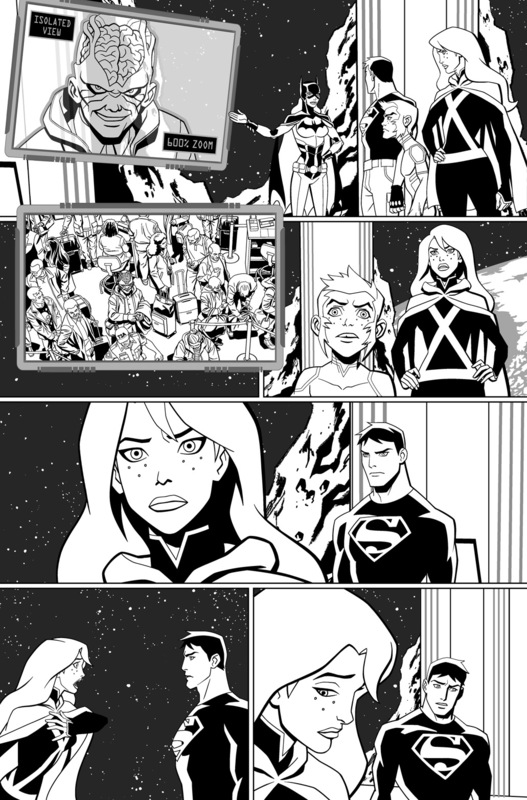 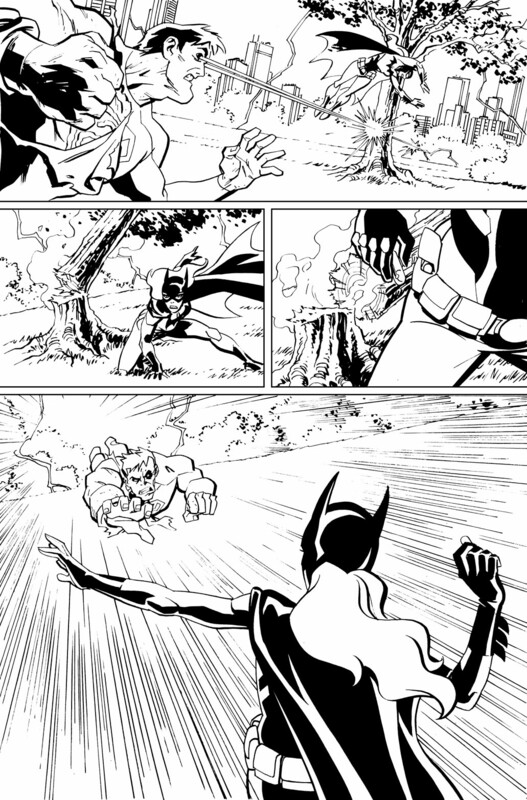 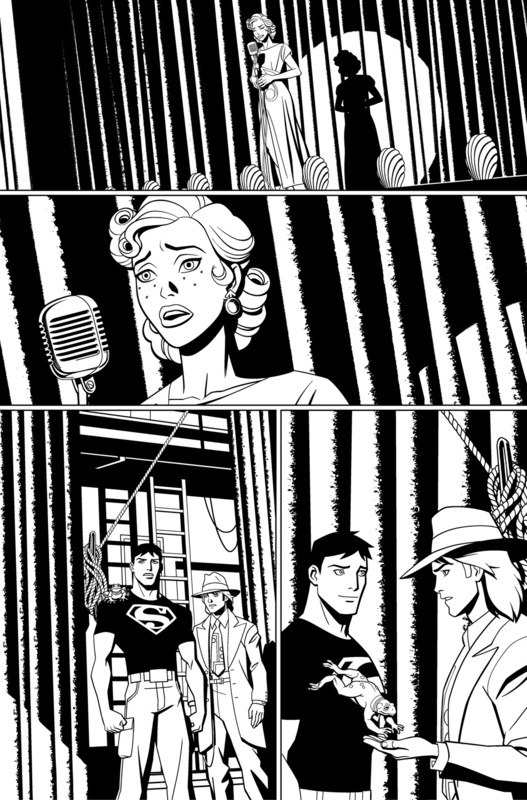 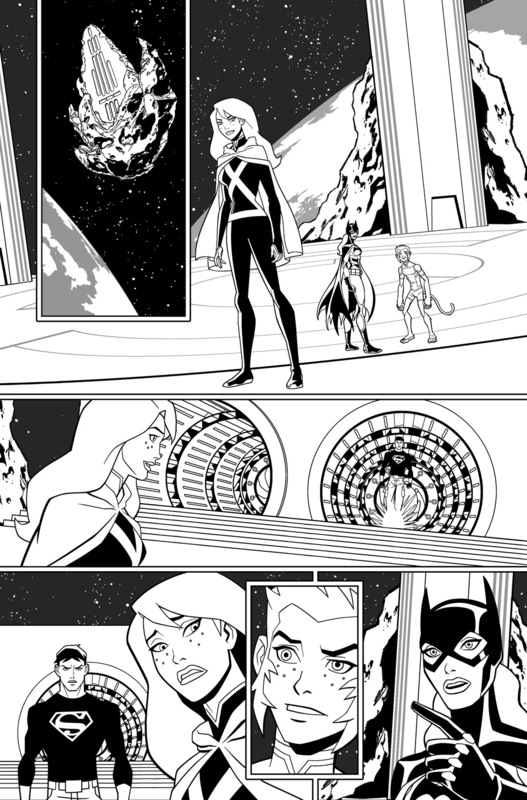 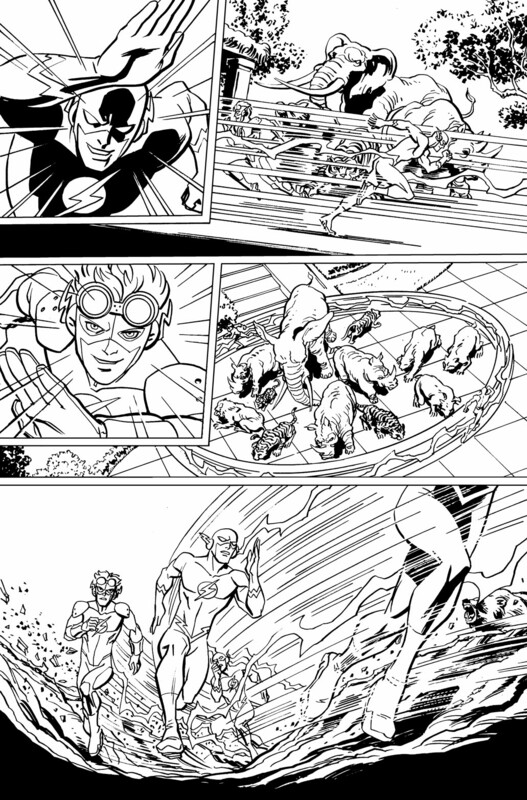 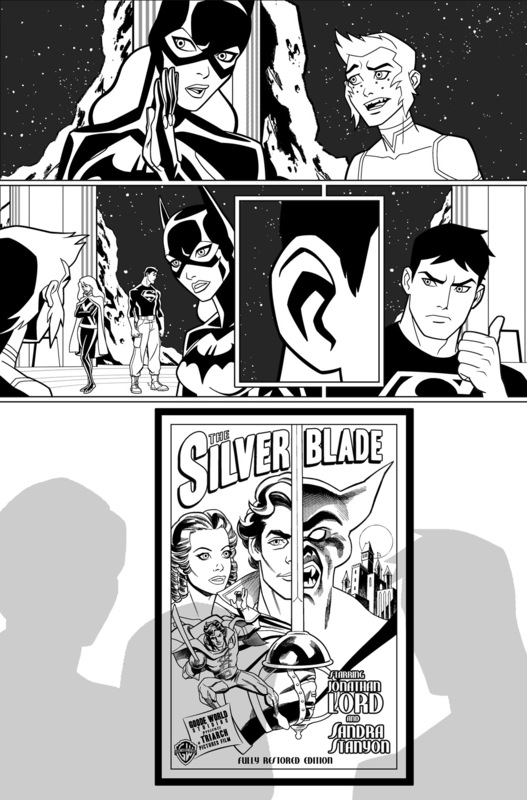 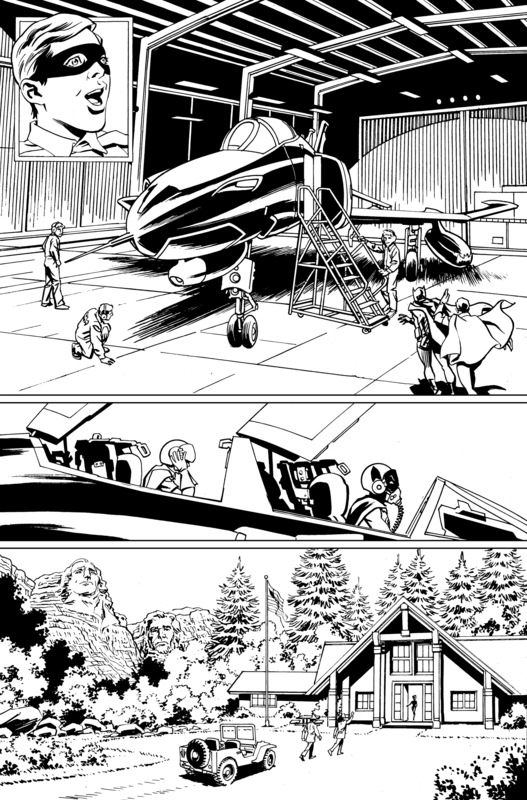 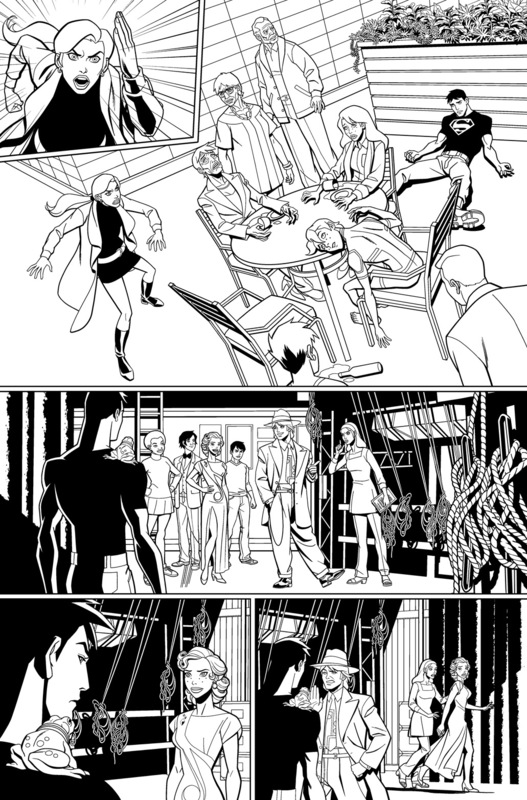 See more Young Justice pages HERE. 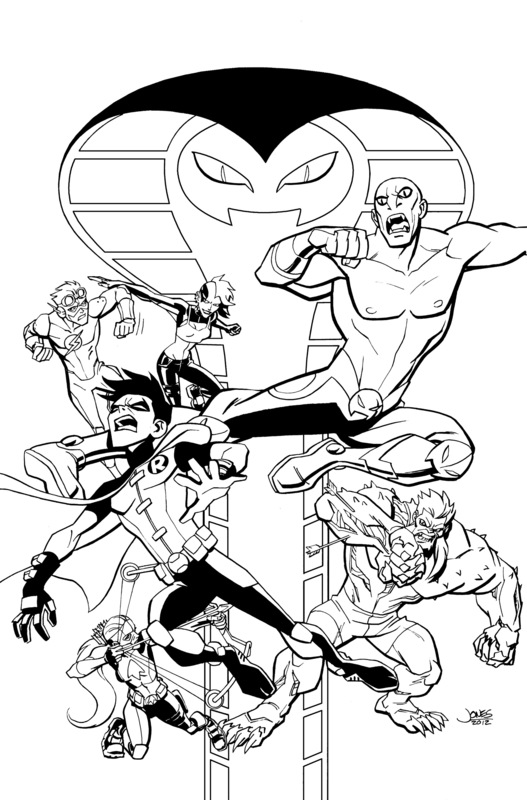 See more Young Justice covers HERE. 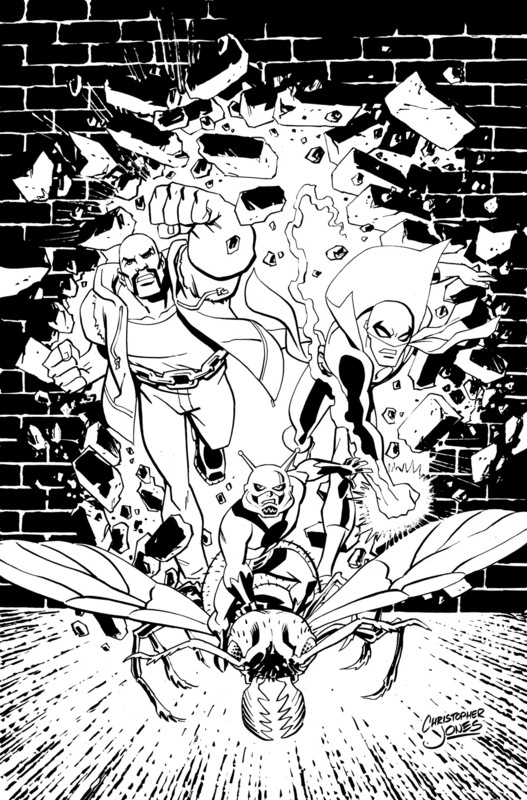 Based on the Avengers: Earth’s Mightiest Heroes animated TV series. 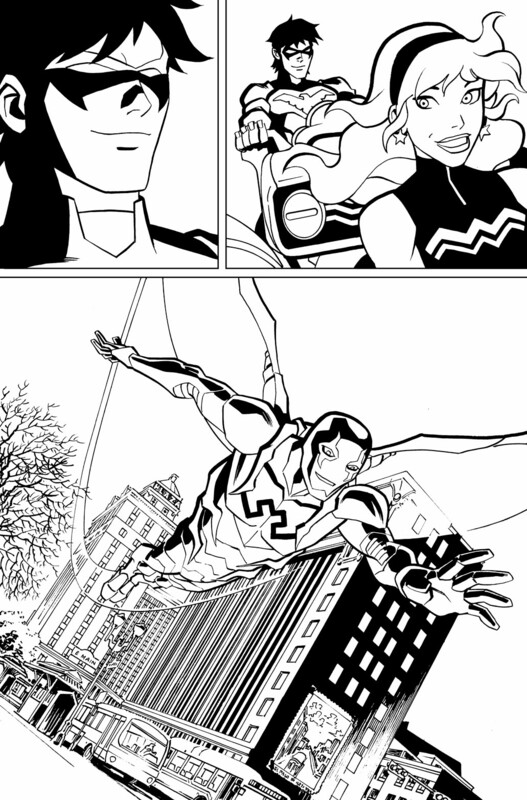 See more Avengers: Earth’s Mightiest Heroes art HERE. 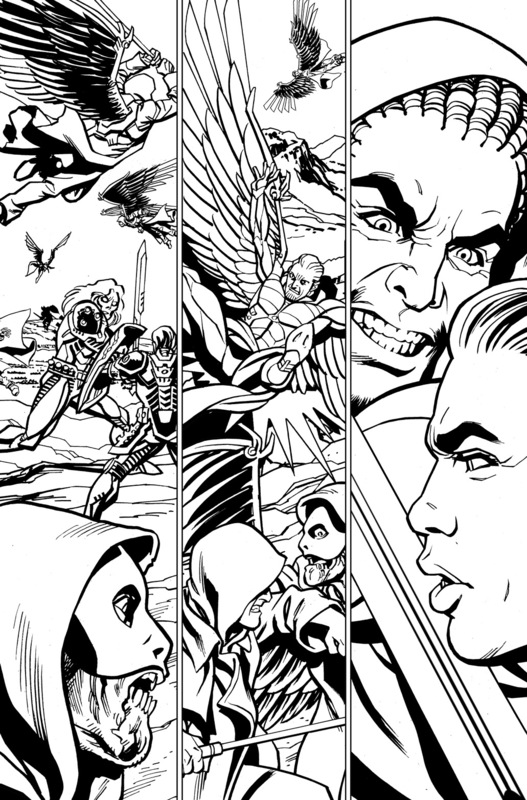 Samples from many, many more projects demonstrating my range of style are available in my gallery.